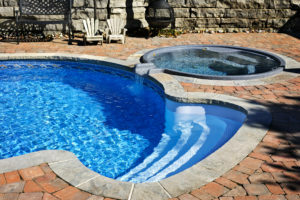 If you have a pool or pond at home, your stone and tile surfaces will come into frequent contact with water. Water may be lacking in viscosity and weight, but it is one of the most corrosive elements on the planet. In fact, water in the form of rivers and lakes has the power to shape mountains. The most famous example of this is the towering Grand Canyon, which is characterized by its tall cliffsides and the river that runs through it all. This national monument was completely shaped by the passage of water. While water is a beautiful piece of nature, you don’t want the Grand Canyon carved into your backyard. You would like it if your pool or pond stays where it is. This means that you need TSSPro Sealants to keep little rivers from becoming your pool’s undoing. When you build a pool, the surrounding areas will be built from concrete, tile, natural stone, or some other combination. This way, it is properly contained within certain guidelines. However, leaving your pool coping unsealed can have disastrous effects. 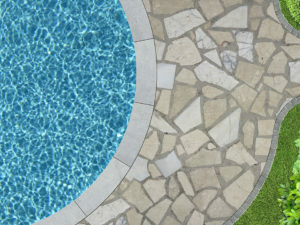 Over time, the water, heat, and chlorine will work in succession to eat away at the edges of the pool. Mold and mildew may develop, meanwhile, you may begin seeing crumbling, cracking, and corrosion. All of these are direct symptoms of your pool water beginning the process of deterioration. Water may evaporate, but it will rain back down again, completely renewed. When you think about it this way, water is invincible. Your tile is not. If your coping or other surface is coming into contact with saltwater, the process of deterioration will happen a lot faster. This is because salt is an electrolyte and it accelerates the conductivity of the water. That means that the number of ions in the water will incline and corrode any surrounding materials, such as stone or metal. Saltwater is one of the biggest causes of premature erosion and rust because it acts so quickly. Houston residents all know how wet our city gets. Rain is frequent, due to our proximity to the ocean, and flooding is an issue many homeowners face. Even if you do not have a pool or pond near your home, you can still sustain water damage. Do you think that your floors and patio could withstand the effects of a severe flood? We bet that they can’t, not unless they have been sealed with our products. Our TSSPro Sealants will protect your surfaces in rain or shine. TSSPro Sealants professionals are prepared to answer your questions about our products to the best of our ability. We want to match you with the best sealants for your surfaces. Water damage is a very serious threat in Houston, so don’t wait for the rainy season to return. Call us at (888) 958-0556 or fill out our contact form here to speak to one of us.